The kitten most afflicted with cerebellar hypoplasia. 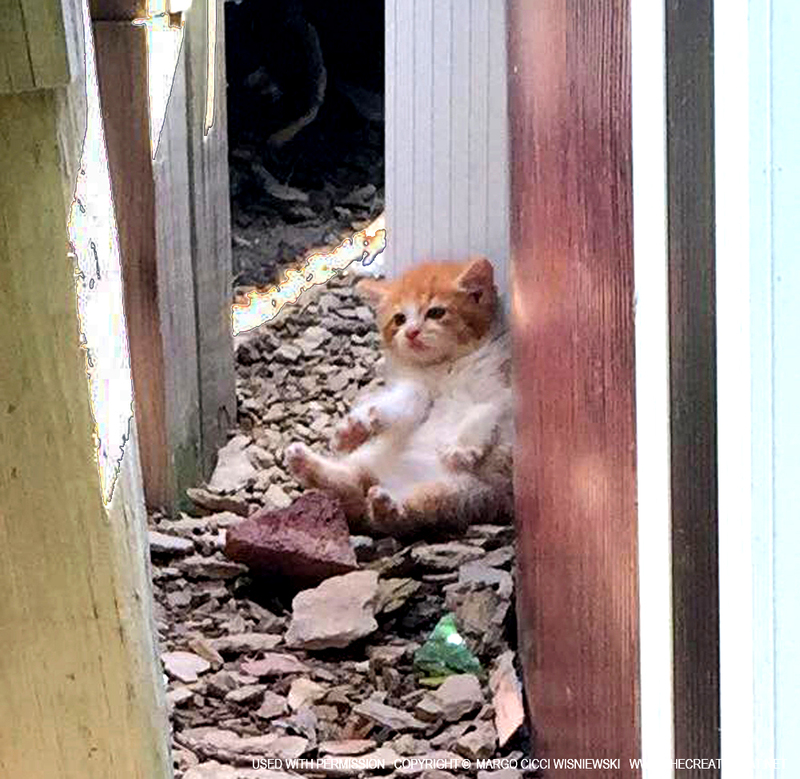 Kittens are known to sprout from some interesting places any time of the year, but during kitten season anything is possible. Desperate mom cats find the safest and most hospitable place they can find during rainy weather and sudden hot temperatures to stash their kittens. Underneath a pool deck, between the pool and a wall is a pretty good place, cool and shady, not easily accessed by much of anything else but cats. Until a human needs to get in there to rescue three kittens who apparently have cerebellar hypoplasia (CH). The condition is evident by a cat’s inability to balance and hold its head upright or straight, so they often stumble and fall, walk at an angle, and appear like little kitty bobbleheads. The cerebellum of the brain has not fully formed often due to distemper or other bacterial infections or injuries during gestation, and symptoms are usually apparent as soon as the kittens are born. Other neurological symptoms may affect balance, though some cats may only be slightly affected. Each kitten in a litter may be affected to a completely different degree. There is no cure for it and no way to treat it to lessen the symptoms, but most cats are able to adapt. 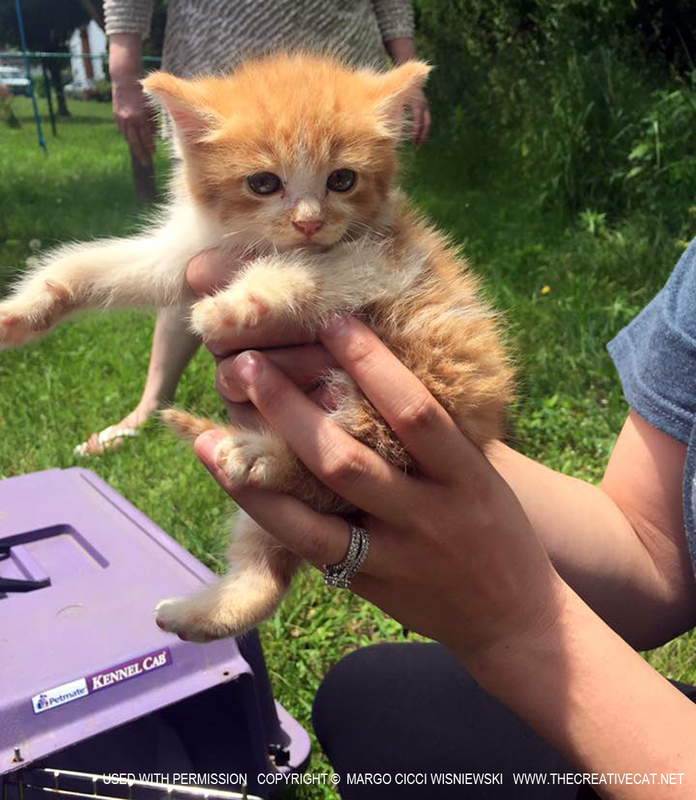 It’s easy to see that the kitten at the top of this post is severely afflicted, and though the other two were not so bad rescuing these three kittens and their mom quickly became critical. 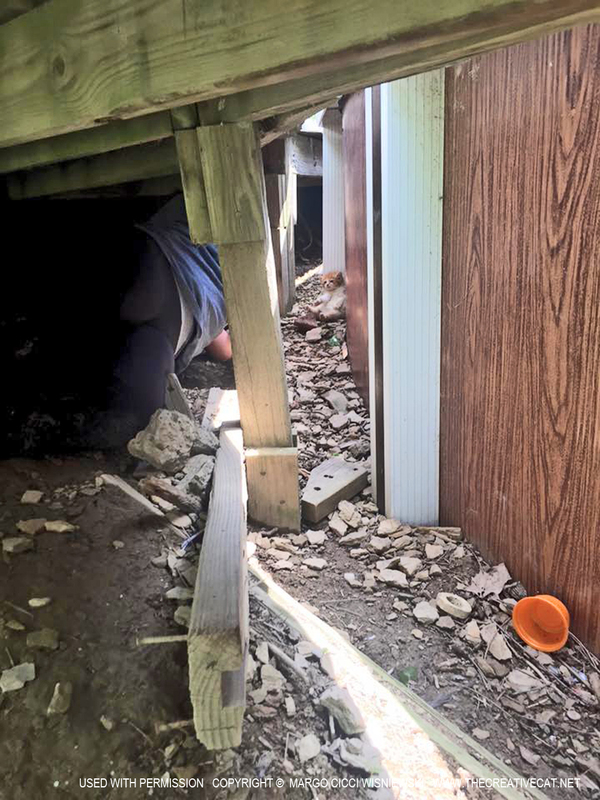 Tarra disappears under the deck. Margo sent out the call for both traps and help, and Tarra headed there with traps and ended up getting herself into a really tight spot. “When she arrived the one that was the worst had himself positioned under the deck in a spot where Tarra (thank god she’s long and skinny) could get under the deck and grab him (he is unable to run away),” Margo said. Tarra Provident crawled in under the pool deck between the pool and the wall and gently pulled the little guy out. She and Margo checked him over and offered him food and water. Later Karen Sable joined them to help with trapping and after about six hours the other two kittens were trapped together. The mother was trapped the next day and will be spayed. Cat mom of the year award for this pretty torbie, and no more babies. The kittens are about ten weeks old and despite their symptoms are clean and healthy. Even the little guy who is pretty much immobile, even to the point where he urinates and defecates lying on his side, is clean with no sign of abrasions or missing fur from dragging himself around. That is one impressive mom cat who managed to nurse three kittens with balance issues and then to wean them to eat regular food, and kept her kittens’ fur clean and the kittens in good health. The little guy when they got him out from under the pool. Below is a video of him drinking water minutes after they had him in their hands. And though the kittens have had basically no human contact they are friendly and social and very easily handled, including the little one. 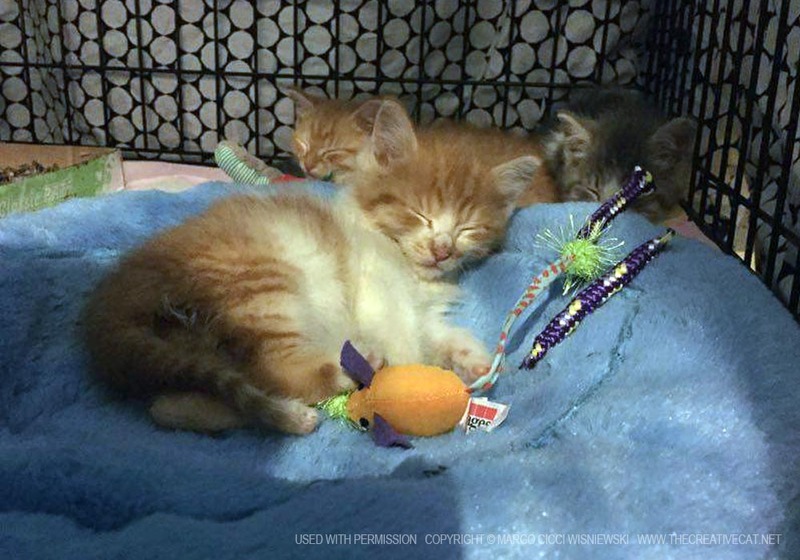 These kittens were rescued by volunteer members of the Homeless Cat Management Team and are located in Pittsburgh, PA. Right now they are staying with Margo, who went to investigate the call for homeless cats needing rescue. But because she already has several individual foster situations she’d like to find a foster home which is familiar with CH and has the time to take care of their needs. 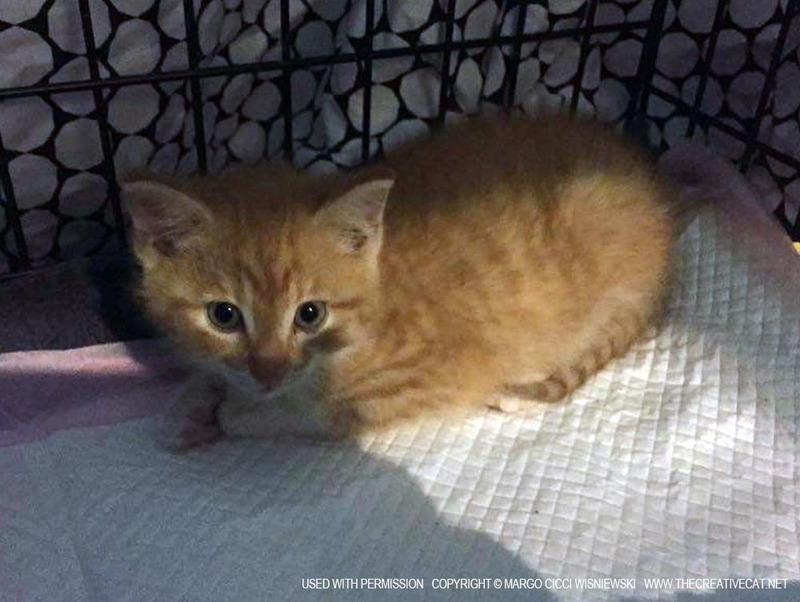 The other two kittens are clumsy but are able to walk and stand up to eat and use a litterbox, but the first kitten will need assistance all his life, and it may be that he would go to a sanctuary if we can’t find a foster or a permanent home. If you know of any possibilities, please let me know. Transportation is not an issue, we will get any or all the kittens wherever they need to go. If there was ever a reason to spay and neuter your cats and give them proper vaccines this is it. 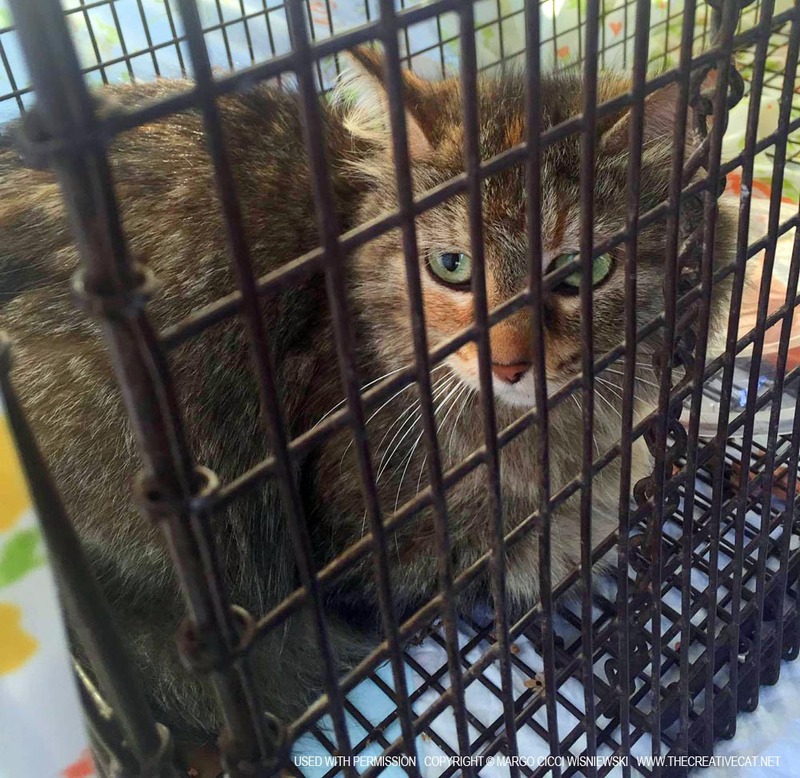 It’s likely this mother cat never had any veterinary care at all, and therefore no vaccines. She may have contracted distemper while the kittens were in utero but has a natural immunity to the disease so she survived, but the kittens will be forever afflicted. Here are a few other videos of the little guy to get an idea of how he is moving around. I will try to add some other photos when I get them. He can walk a little bit with assistance. They adjusted well to their foster space, a cage in the basement that is large enough for an average human to walk into and sit down. 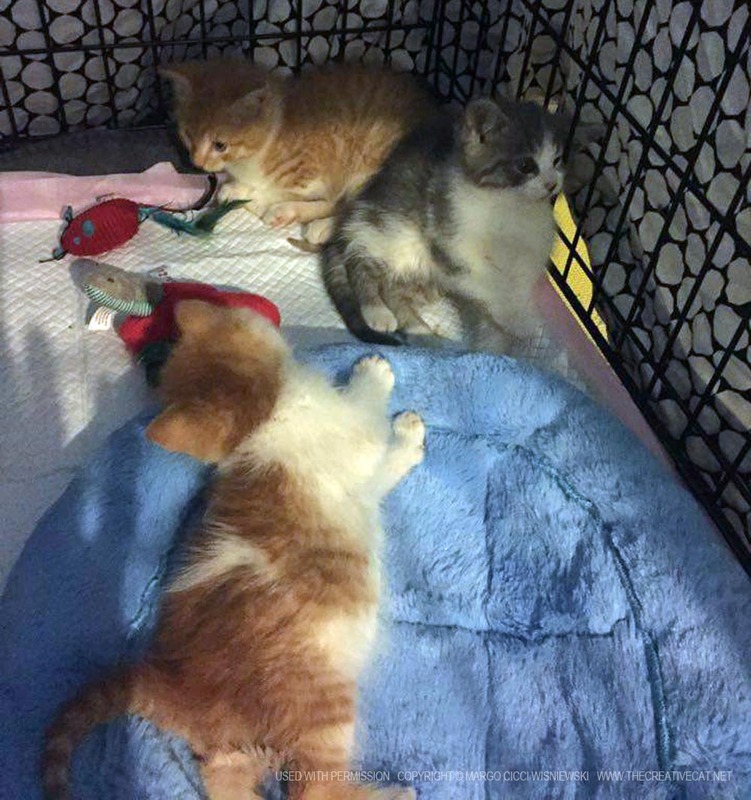 Peter Pan, Wendy Darling and Rufio getting adjusted to their new home. Rufio is almost all orange; “Rufus” means “red-haired”. Rufio is the other brother. Wendy Darling is gray and white tabby. Wendy Darling, the sister, tucked in next to her brother. And then they all went to sleep. Peter Pan loves the bed Margo got for him—he went right to it and laid down. Peter Pan sleeping on his bed with Rufio and Wendy Darling behind him. All the cats will be spayed and neutered, vaccinated, fattened up and sent off to loving forever homes. As I always do when we encounter a costly operation like this, I will ask if you can make a donation to help us cover the costs of care for these cats, and below I offer “Donate for a Discount” for this operation, a program through which I give a $5.00 coupon to my animal art website Portraits of Animals for each $25.00 of donated goods or cash. To give you an idea of the costs for each cat, each cat will receive: FIV/FELV test ($25), Rabies Vaccination ($8), FVRCP ($10), Flea Treatment ($8), Wormer ($8), Spayed/Neuter ($35-50), plus the cost of food and intensive care until they are adopted. The cost of KMR for all those kittens is phenomenal. These cats are being cared for at Fix Ur Pet, which does give Amy a rescuer’s discount, but the care many of these cats have needed has been an expense, then soon the tests, vaccinations and surgeries will come. The little tortie is doing very well after several days of intensive care. Purchase materials from the Amazon Wish List Margo set up for the kittens: http://www.amazon.com/registry/wishlist/152WW0UBEHO1O/ref=cm_sw_r_fa_ws_pVUtxbDMWXR7Y. Go to the HCMT website and make a donation of at least $10.00 through JustGive or PayPal. In the “notes” section say that the donation is through “The Creative Cat”. I will confirm and send you your gift certificate (discount code). All art and text sole copyright © Bernadette E. Kazmarski and may not be reproduced in any way without express written permission. 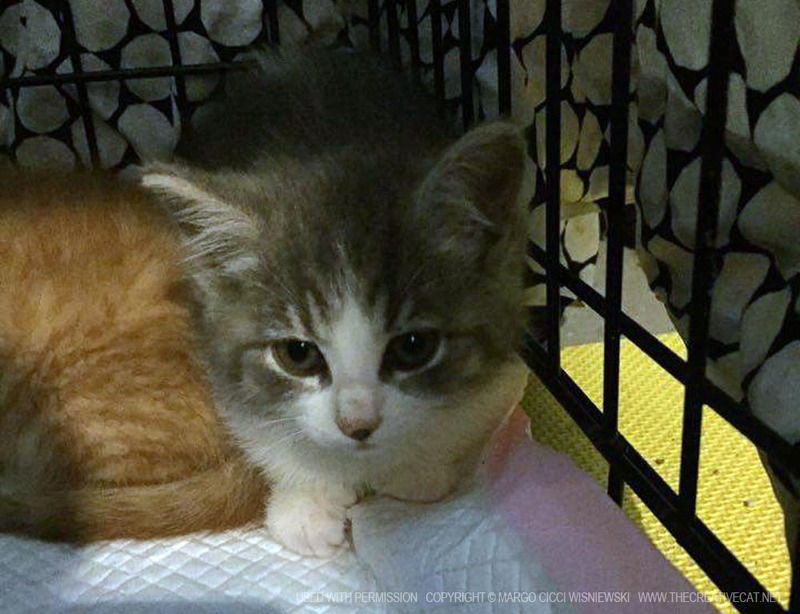 This entry was posted in Donate for a Discount and tagged donate for a discount, kittens with cerebellar hypoplasia on June 3, 2016 by Bernadette.